Get fresh, glowing and radiant skin using the Mirabelle Korea Berries Fairness Facial Mask. 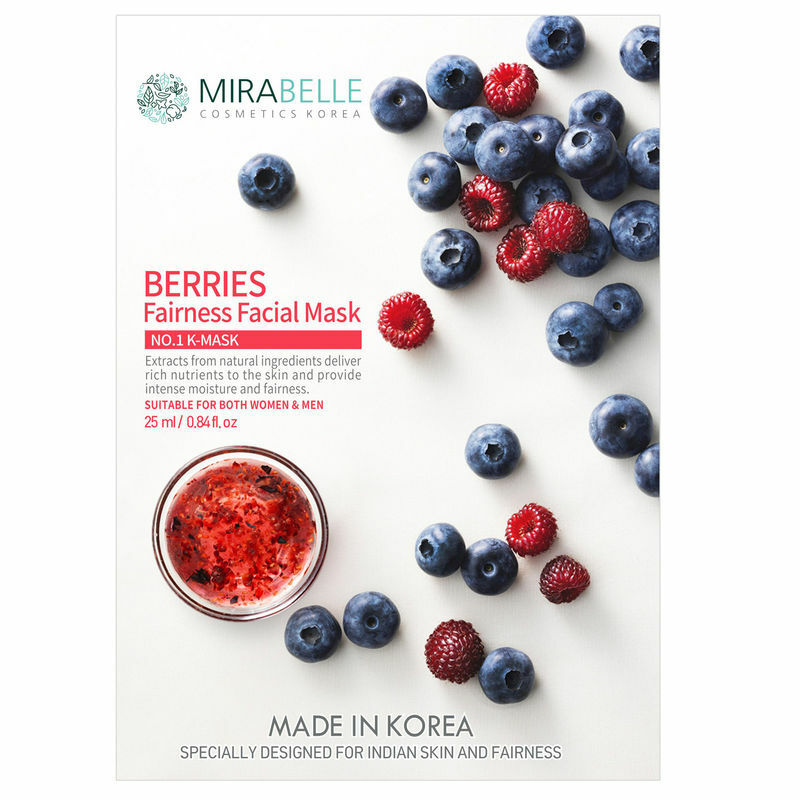 The Mirabelle Fairness Facial Mask with Berries is specially formulated for Indian skin. It delivers rich nutrients to the skin and provides intense moisture and fairness. It contains various extracts of Grape, Pomegranate, Acai berry and Blueberry which gives vitality and elasticity to dull skin.